The Office Master WS15 is perfect for those who need to sit, stand or perch forward while working. The Office Master WS15 Work Stools are low maintenance and easy to clean. The WS15 is perfect for an industrial application, art desk, assembly line or just about any where you may need to sit to stand. 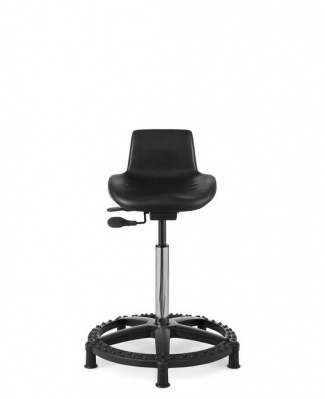 The Office Master WS15 offers a unique base and seat tilting. The WS15 allows you to stand but still rest some of your weight on the seat. The Office Master WS15 is a perfect balance. Order the Office Master WS15 online today and save. Overall Height: 28.5" - 38.5"
About Us | Our Customers | Contact Us | Return Policy | © Copyright 2008 ECWest. All Rights Reserved.